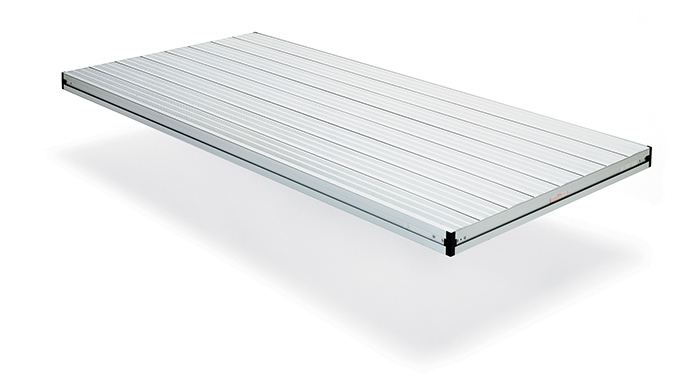 For an indoor portable stage to outdoor performance stages, rely on the durable and versatile StageRight Aluminum Frame Stage Deck. 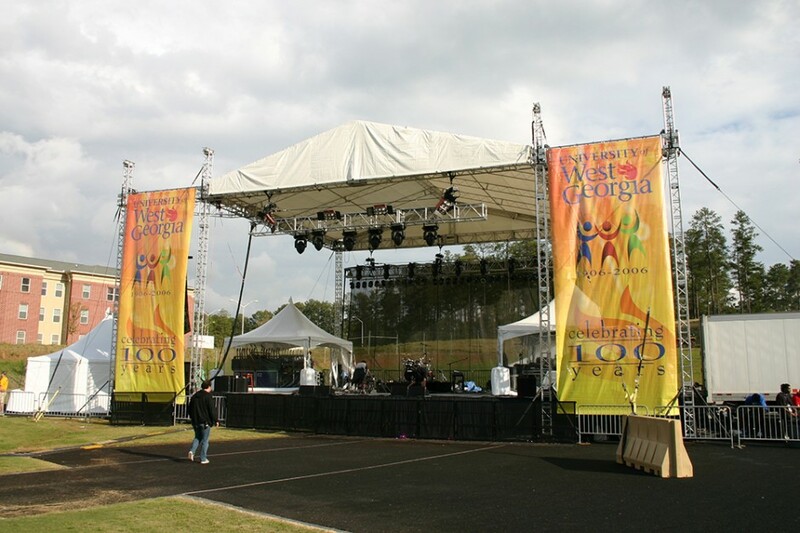 The aluminum support structure of these stage decks provide superb weather resistance, and a sound support for our interchangeable portable staging performance surfaces. 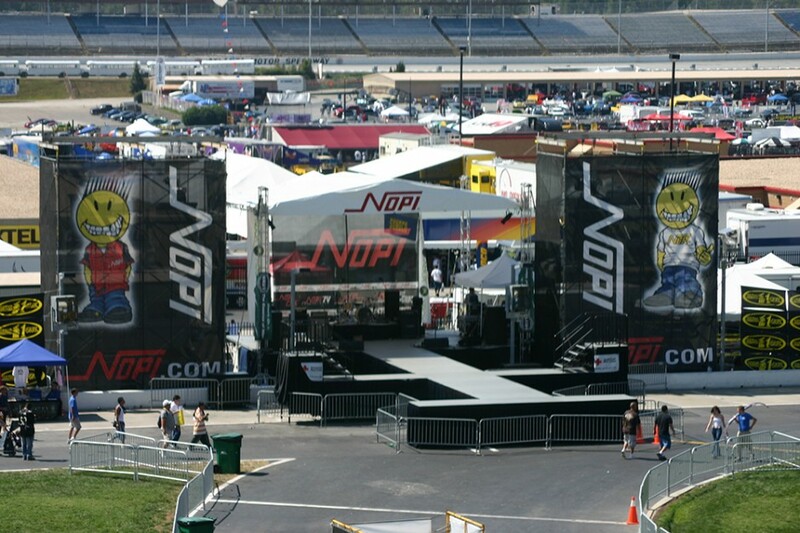 Choose from five stage platform surface options that best fit your portable staging requirements. Deck surfaces are interchangeable and can be replaced without having to purchase a new aluminum frame for your stage deck. Compatible with all StageRight portable staging support systems (with the same dimensions), and accepts all existing StageRight stage deck accessories. 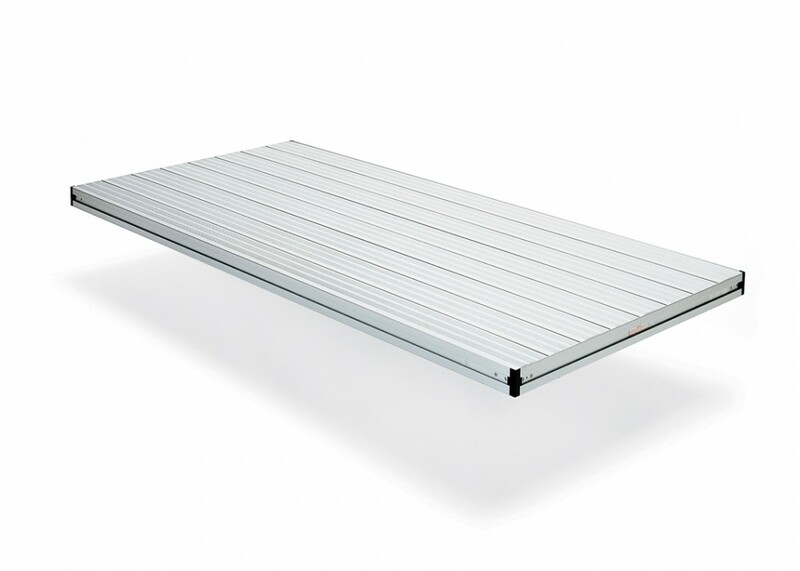 Although you can't do anything about the weather, you can be assured our Aluminum Frame Stage Deck system will stand up to the elements. 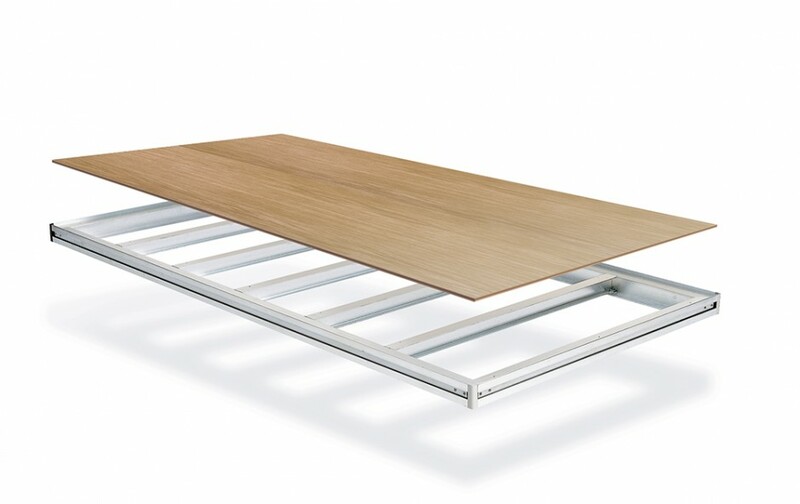 StageRight decks are available in a variety of surfaces to meet the different requirements of your staging business. Aluminum, plywood, two textured surfaces and twelve shades of commercial-grade polyolefin carpet comprise the list of available deck surfaces. As your needs change, deck surfaces are easily replaceable. Aluminum surface allows extended outdoor use in all climates. Slip resistance is built into the knurled surface to help with secure footing. Available with AF Deck only. Plywood can be cut, drilled, fastened and painted to match your specific needs. Commercial-grade, anti-fray polyolefin carpet looks better longer. Available in many colors.